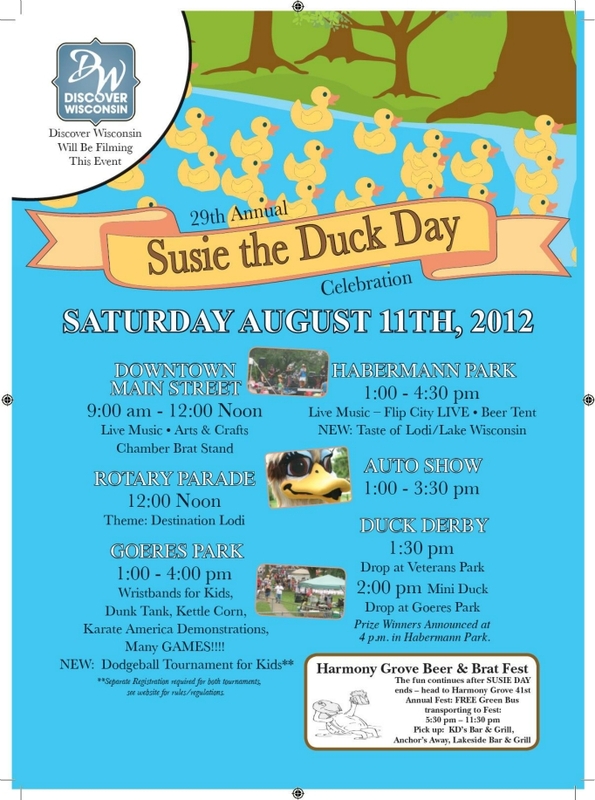 My husband and I love going to local community festivals, and one of my favorites is Susie the Duck Day in Lodi, WI. 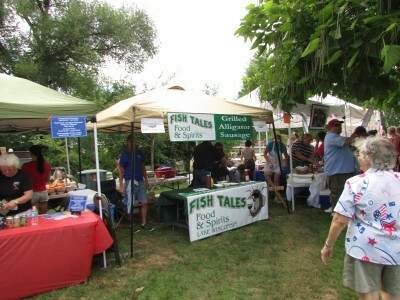 Last year, the TV show “Discover Wisconsin” came to record the event, It aired April 6, 2013. Watch it here! 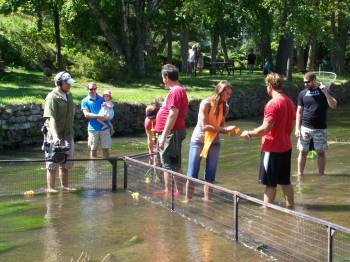 It is a great community festival honoring a female mallard that nested in the town’s masonry basket in Spring Creek in the 1940’s. 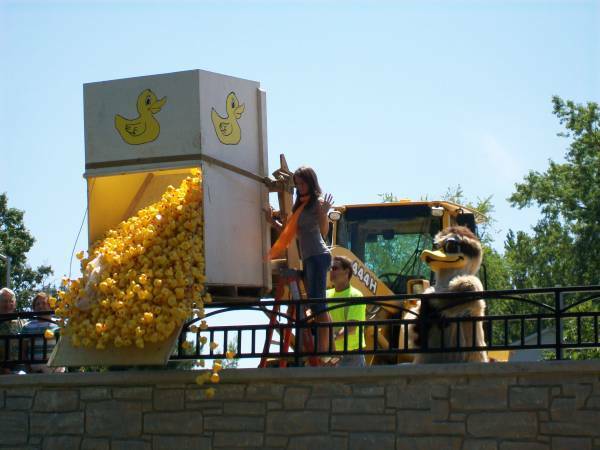 The big parade is at noon, Then the duck drop in Spring Creek. 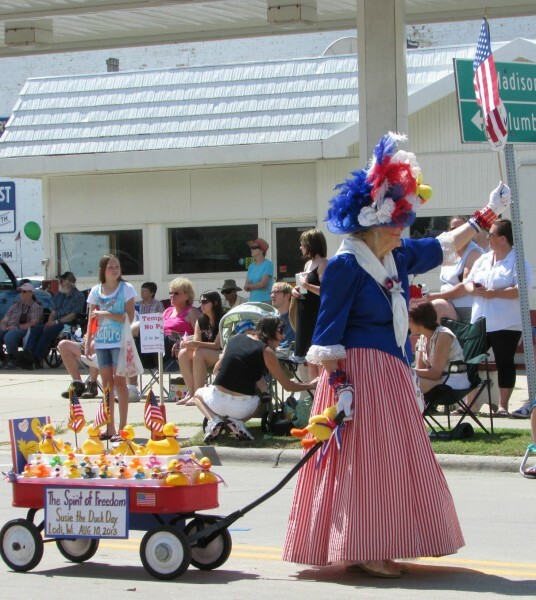 Many wonderful floats and enthusiasm for Susie Day. 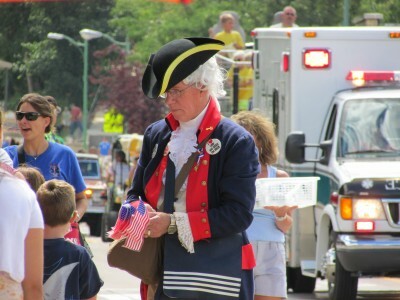 Just before the parade a man dressed in 1776 attire passes out American flags. 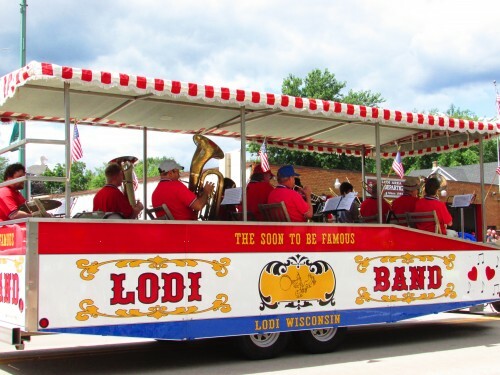 Lodi is a very patriotic town. 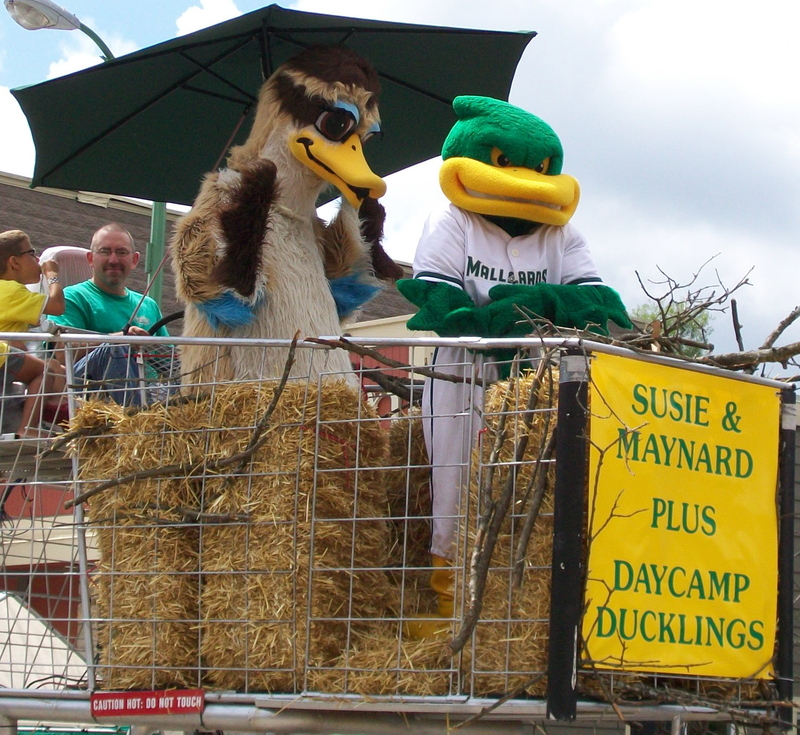 Here is Susie and Maynard G. Mallard of the Madison Mallards riding in a big cart. 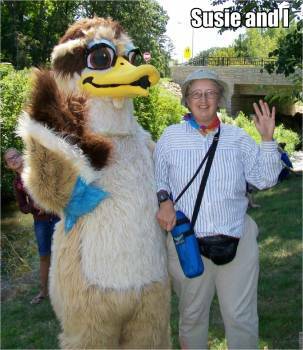 People buy ducks to win prizes, $5 for one. 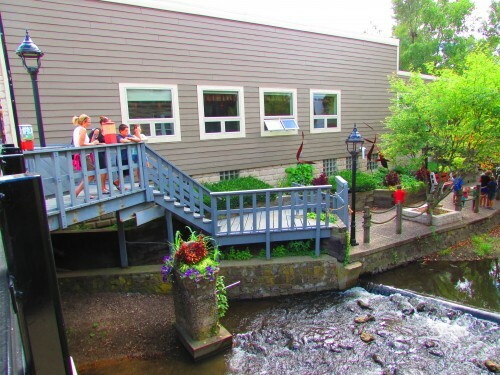 People watch the ducks float down the creek, cheering them on. This is Spring Creek Park. 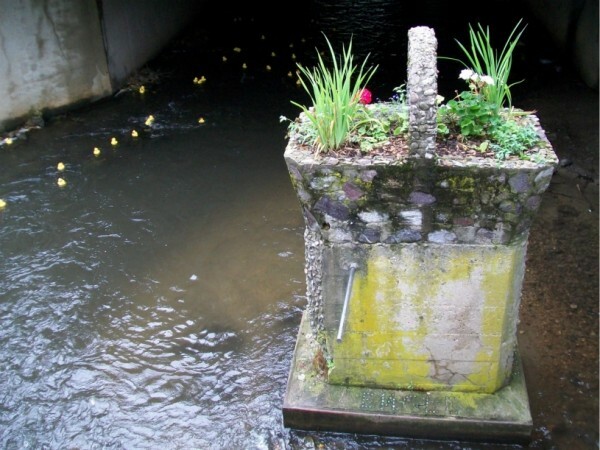 This is the famous masonry basket in Spring Creek downtown. 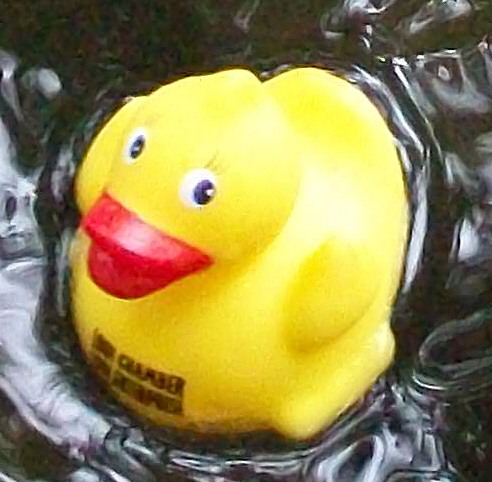 Ducks are floating by. 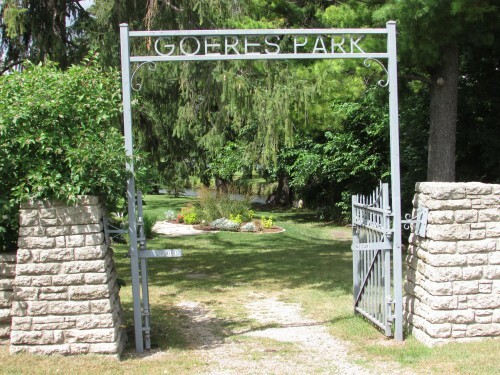 The finish line at Goeres Park, as well as the other festivities. 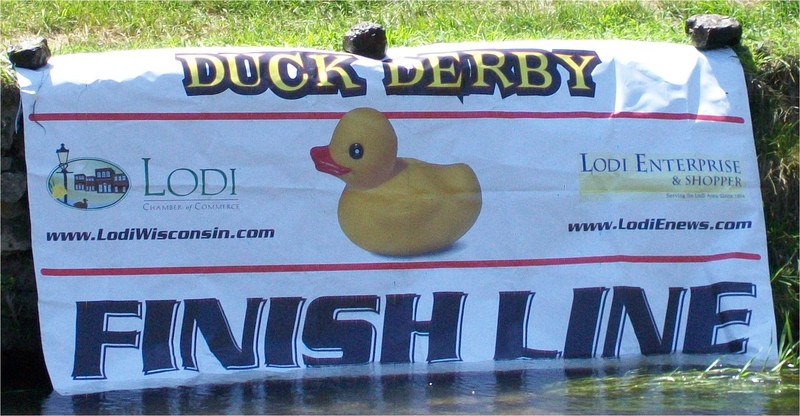 Waiting for ducks to arrive at the finish line. Meanwhile, there is lots of food and fun to be had. 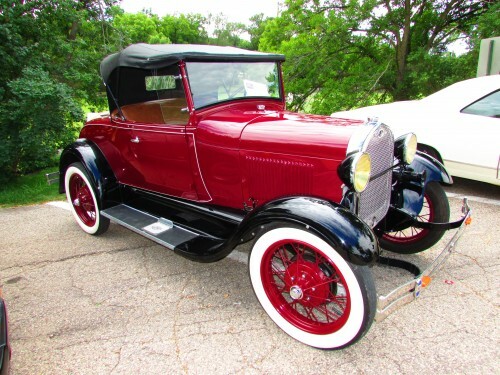 Also a classic car show. 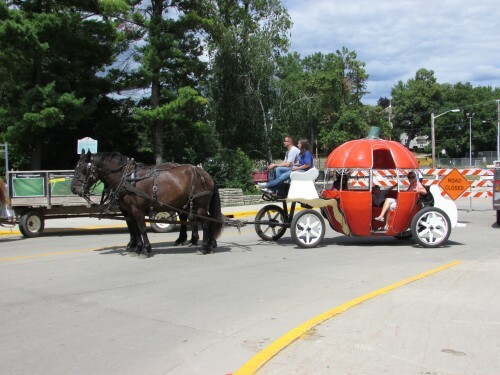 Rides were given in the pumpkin carriage and the big shopping cart. 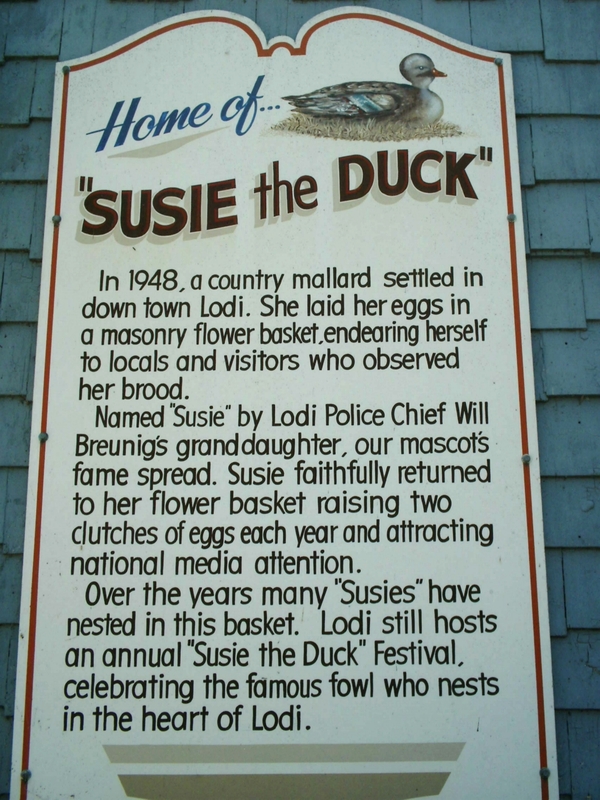 We hope you enjoyed your day in Lodi, Susie hopes you will come back next year!